If you enjoy browsing through science fiction—or just books in general—Twice Sold Tales is a real find. 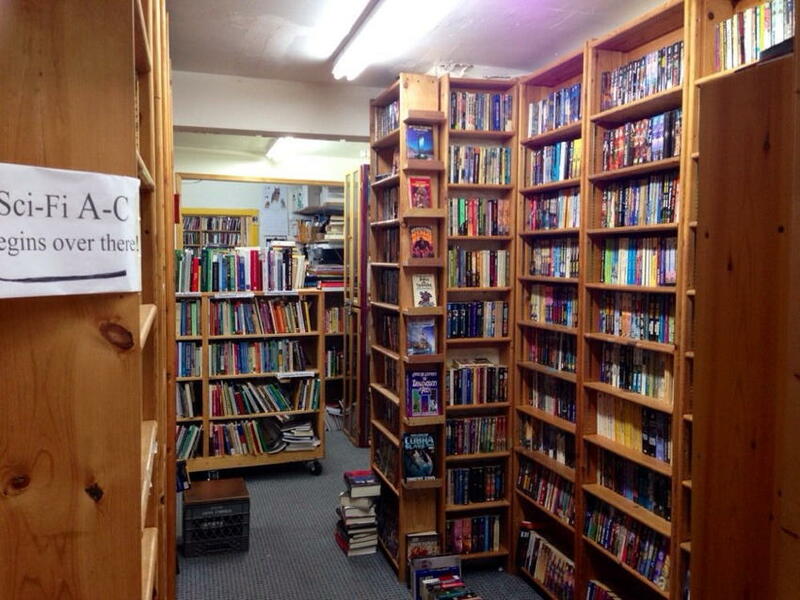 The proprietor is a huge science fiction fan—she spoke with me at length about the contributions of Hal Clement to the field—and her selection of science fiction always includes hard-to-find items on my list, when I visit Seattle. Their selection of general fiction is also quality. I picked up Ward Just’s Echo House there, and Walter Tevis’s Mockingbird which, while technically science fiction is usually shelved with the rest of Tevis. And I also found some long-wanted gifts for my girlfriend that don’t show up on the list, since my OCD-ness does not include cataloguing other people’s books. I also picked up the first Mad Scientists Club, which I didn’t know existed. I acquired the second in a seedy manner back in Catholic grade school, and have kept it ever since, even as other, more advanced books have wandered in and out of my life. It was pleasant learning that there were new stories to read. We first ran across this bookstore at random. We were looking for places to live, and wandering neighborhoods, and saw a bookstore sign down the street. My girlfriend almost ended up living in Capitol Hill just because it contained this type of establishment. Warning, though, they have cats, and lots of them! Ward Just’s story of three generations of Washington power brokers unknown by pretty much everyone outside of DC. A great bookstore in the Capitol Hill section of Seattle. Right next to the Fremont Avenue bridge, this very cramped bookstore has a nice collection of used and children’s books. Seattle, Washington: Twice Sold Tales last modified September 24th, 2016.